An absolute must for canoes, kayaks, skirts, cockpit covers, Pfds, paddle blades, etc. 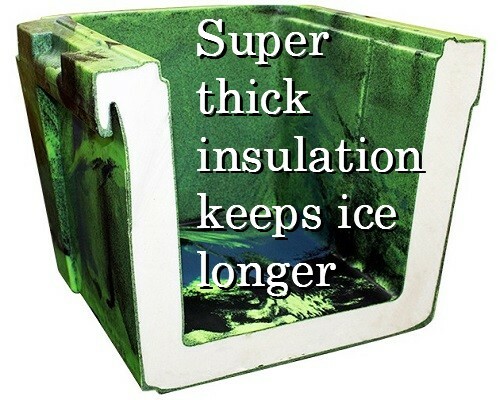 Very effective on plastic, rubber, fiberglass, kevlar and nylon.Unsurpassed UV-blocking protection! Quickly and easily restores a "like-new" color, luster & gloss. Easy application. Just spray on & wipe dry. Not greasy or oily. Repels dust, soiling and staining. Treated surfaces stay cleaner, longer. Lasts 4 to 10 times longer than other products. 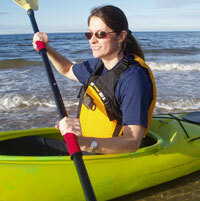 Great protection for canoes, kayaks, and accessories. New larger size ! Unsurpassed UV-blocking protection! Quickly and easily restores a "like-new" color, luster & gloss. Easy application. Just spray on & wipe dry. Not greasy or oily. Repels dust, soiling and staining. Treated surfaces stay cleaner, longer. Lasts 4 to 10 times longer than other products. Great protection for canoes, kayaks, and accessories. Our largest size ! Unsurpassed UV-blocking protection! Quickly and easily restores a "like-new" color, luster & gloss. Easy application. Just spray on & wipe dry. Not greasy or oily. Repels dust, soiling and staining. Treated surfaces stay cleaner, longer. Lasts 4 to 10 times longer than other products. 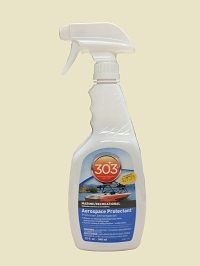 Great protection for canoes, kayaks, and accessories. Gunwale Guard enables you to seal and protect your canoe's wood gunwales, seats and thwarts in one easy step. 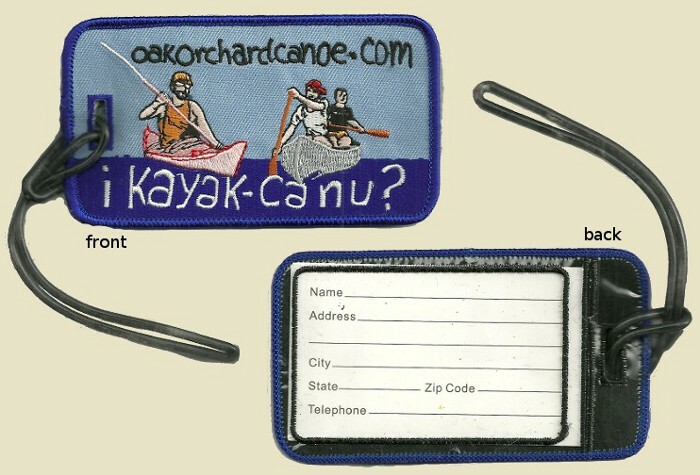 Great for your new canoe or old canoe. Wood components treated with Gunwale Guard will become water repellent, provides UV protection, and resists warping and swelling caused by changes in weather. Durable and easy to use, Gunwale Guard is great for your canoe's wood gunwales and wood components. 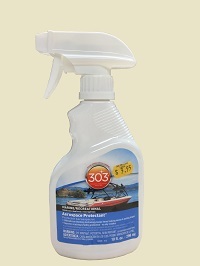 Apply periodically; Gunwale Guard will keep your gunwales looking showroom new or better. 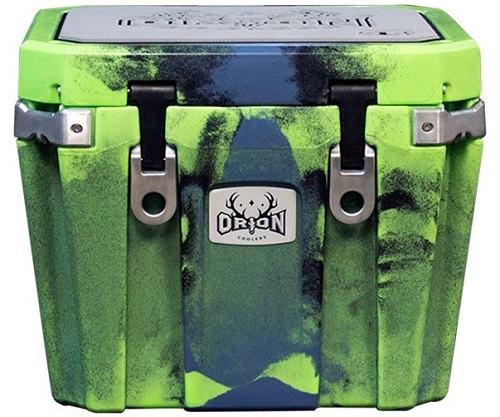 Designed to remove oxidation, chalking and restore fading on colored gel coat. Also good on clear gelcoat. 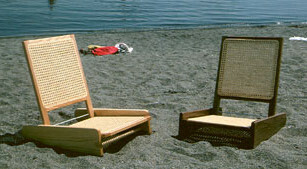 Has unique wetting agents that bring back the orginal color of the fiberglass while special polymers seal in the finish. Combines a light duty rubbing compound for cleaning/restoring with a PTEF coating which seals the restored surface. When we work on old fiberglass or Kevlar canoes and kayaks we start with wet sandpaper to clean off the worst damage and get things level, then we use the #49 Oxidation Remover to get back to original color, then we use the #44 Gel Gloss to fully restore color and shine. -It's a lot of work but the result is much better than painting. 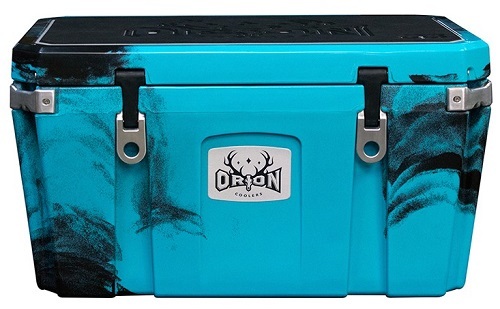 Designed to remove scratches, oxidation, chalking and restore fading on colored gel coat. Also good on clear gelcoat. Has unique wetting agents that bring back the original color, while special polymers seal in the finish. 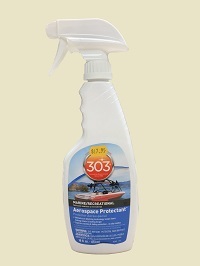 Combines a light duty rubbing compound for cleaning/restoring with a PTEF coating which seals the restored surface. 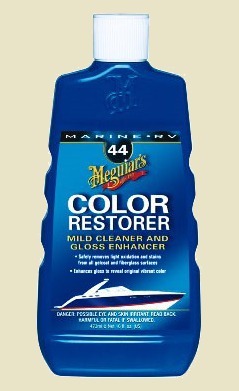 When we work on old fiberglass or Kevlar boats with gelcoat fading or scratches we start with fine wet sandpaper to clean off the worst damage and get things level, then we use the #49 Oxidation Remover to get back to original color, then we use the #44 Gel Gloss to fully restore color and shine. -It's a lot of work but the result is much better than painting. Just slide a pair of YakGrips® onto the shaft of your take apart paddle and experience all day comfort while paddling. These comfort paddle grips have the cushiest feel and follow the actual curve of your hands to reduce fatigue, prevent blisters and calluses. YakGrips® ease the pressure on your palms and tendons of your hands so you can get a good grip on your paddle for more efficient paddling. You'll appreciate them even more for those aggressive bouts of paddling. YakGrips® are easy to install. Just wet the inside of the YakGrips® slide them on. The inner gripping design will keep them where you put them. If you want to remove them put some water under them and on the paddle shaft and pull them off. YakGrips® can be left on, ready for your next journey. Just velcro a pair of SurfGrips by Yakgrips® onto the shaft of your take apart paddle OR one-piece paddle and experience all day comfort while paddling. These comfort paddle grips have the cushiest feel and follow the actual curve of your hands to reduce fatigue, prevent blisters and calluses. YakGrips® ease the pressure on your palms and tendons of your hands so you can get a good grip on your paddle for more efficient paddling. You'll appreciate them even more for those aggressive bouts of paddling. YakGrips® are easy to install. Just open the velcro of the SurfGrips by YakGrips® wrap around your paddle shaft and close. The inner gripping design will keep them where you put them. If you want to remove them just undo the velcro and pull them off. YakGrips® can be left on, ready for your next journey. 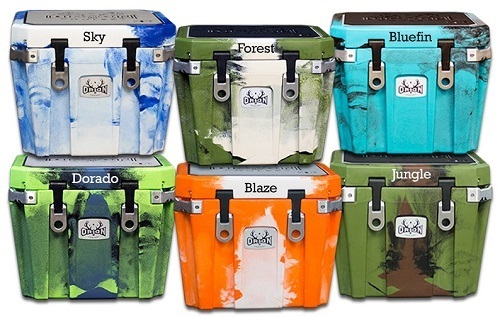 DeLorme is the first choice of outdoors enthusiasts. Beautiful, detailed, large-format maps of every state. Perfect for home and office reference, and a must for all your vehicles. 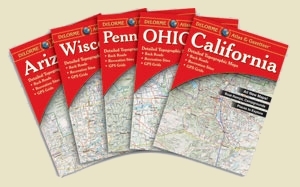 Gazetteer information may include: campgrounds, attractions, historic sites & museums, recreation areas, trails, freshwater fishing site & boat launches, canoe trips or scenic drives... Categories vary by State. Hard to find item... LET THEM KNOW WHAT YOUR SPORT IS! Full Color Embroidery on one side. The other side has a Clear vinyl pouch with lots of space for your information. Includes double loop hang tag lanyard. Raise the flag without ropes! 4 sections drop in seconds if high wind! Anodized Aluminum. 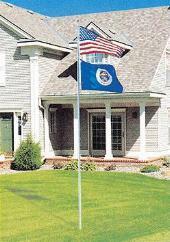 3' x 5', Heavy Duty Flag Included. Yakgrips for SUP prevent rubs, calluses and blisters and reduce the stress on hands and tendons. They are especially helpful for people with carpel tunnel, arthritis and other disabilities. 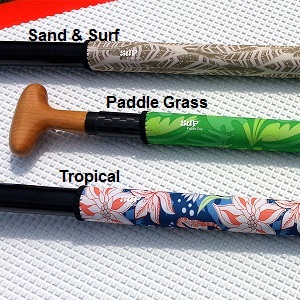 Yakgrips for SUP also help keep the paddlers hands in the correct position while paddling. They also help to keep hands dry and not slide on a wet paddle shaft. 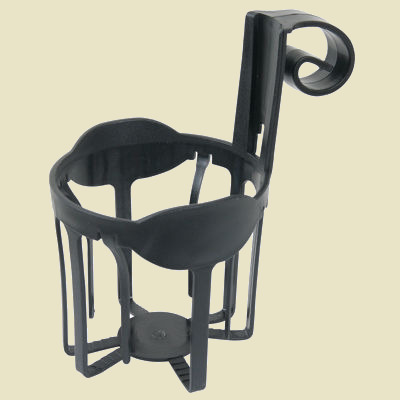 Yakgrips for SUP insulate hands from a cold or hot paddle shaft. Once the Yakgrips for SUP are installed they can be left on the paddle. Material is UV treated. Yakgrips for SUP are easy to install. Just wrap the SUP Yakgrips under your hand positions and secure with the hook and loop closure. We recommend the paddle be cleaned if it's been used before with mild dish detergent (Dawn) to remove any oils and sunscreen. If the paddle shaft is dirty the Yakgrips for SUP may slide.